Fresh out of the oven is the way I love these. 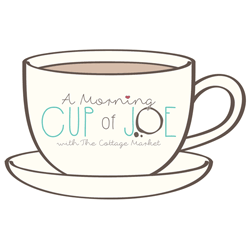 Though they are really good at room temperature, but the best news is that you can serve them at any meal. Yes, even dessert.You have to try these. They are so nice and soft and a bit flaky. They just feel like you would imagine chewing on a cloud would be like. I mean really who wouldn’t enjoy these? 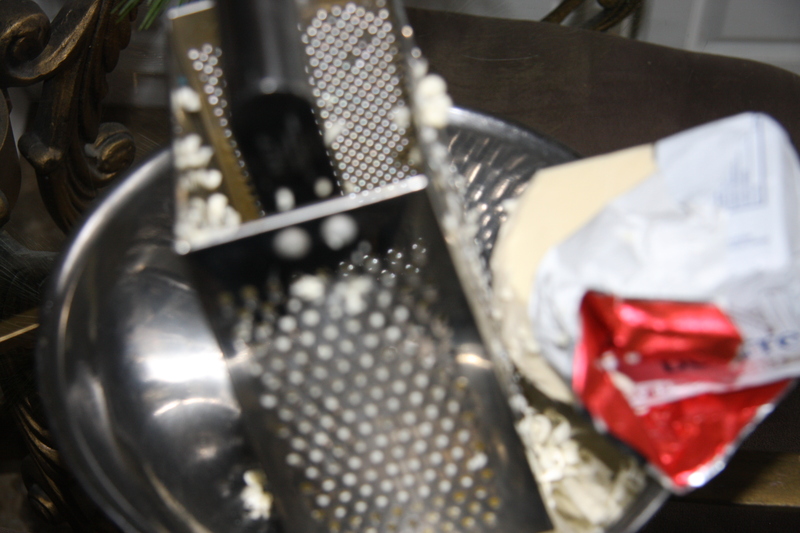 Using a box grater, grate approximately 1/2 lb. 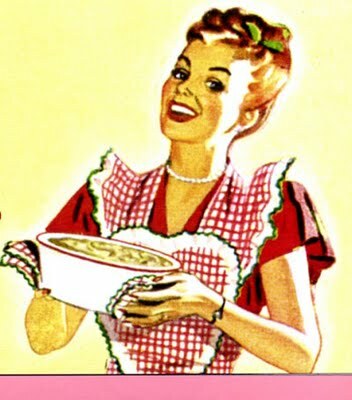 of butter, or 12 tablespoons. Into a food processor add 4 cups of unbleached all purpose flour, 1 teaspoon salt, 1 teaspoon baking soda and 1 tablespoon baking powder. Pulse until everything is well mixed. 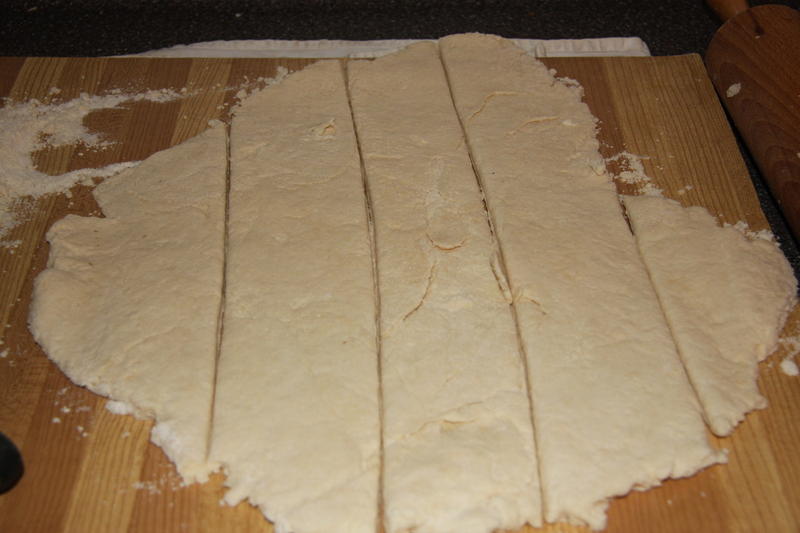 Add your grated butter and pulse until you have little pea shaped pieces in the flour. 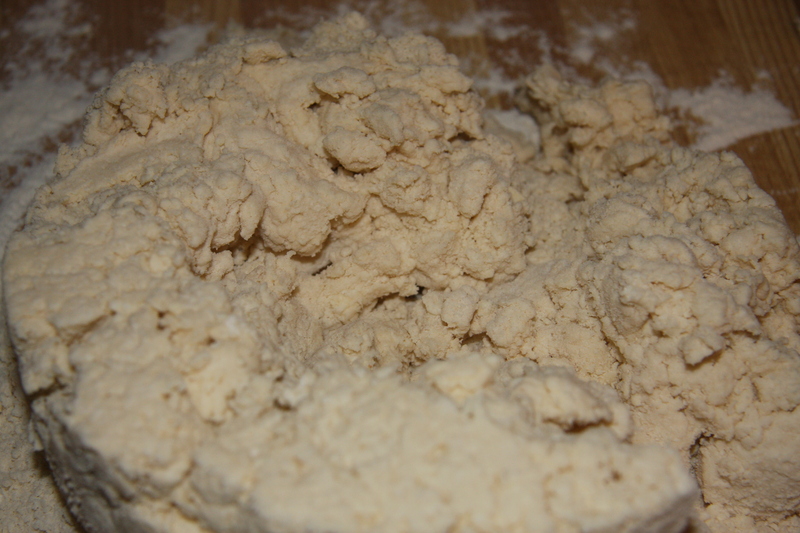 Next add 3/4 cup of buttermilk, pulsing then I gradually add another 3/4 cup, until the dough starts to come together. It will be crumbly. 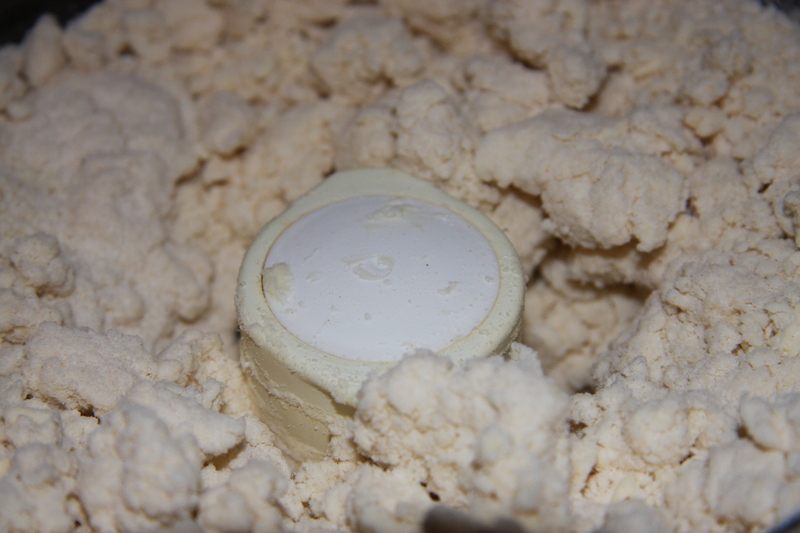 Placing it on a floured work surface you now have to gently bring it together. And roll it out gently or press it out by hand. As you can see I had some leftover bits that I did not force into the dough. Then take the strips and pile them on top of each other. Pressing them with your hand. Repeat this process once again. Cut into squares, so there are no scraps. 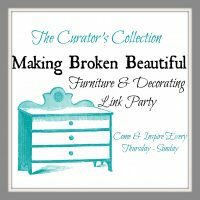 These scraps would make the biscuits tough if reused. 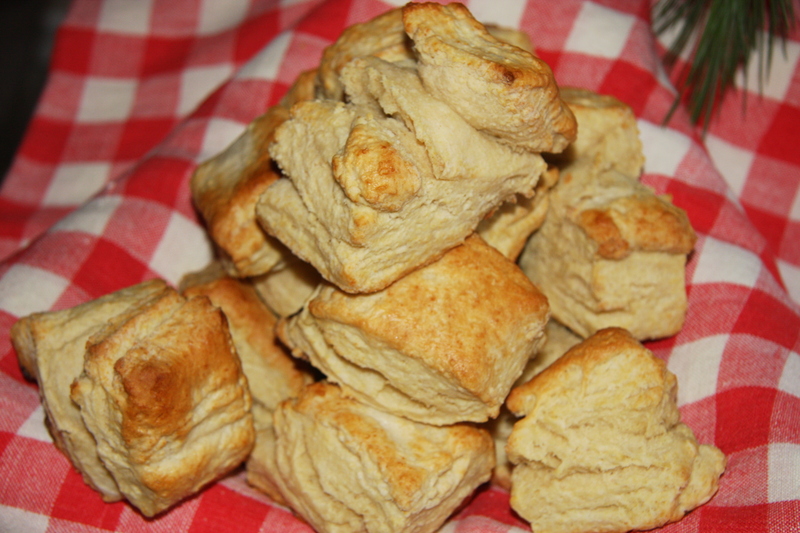 Brush the tops with buttermilk and bake in a 425 preheated oven. That is what my oven is good at for these. Just keep and eye on them. Bake until golden, about 12 minutes. I then turn the oven off and leave them for another 2-3 minutes. I love them hot right out of the oven with jam and Papa likes them with butter. Whatever way you like them is great. Just try making these. 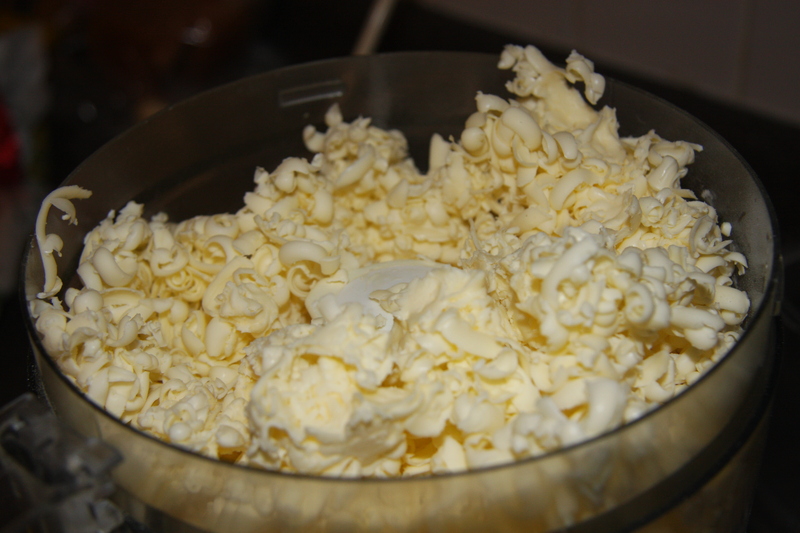 12 Tablespoons Of FROZEN Butter, About 1/2 LB. Preheat oven to 425 degrees. Grate butter and set aside. 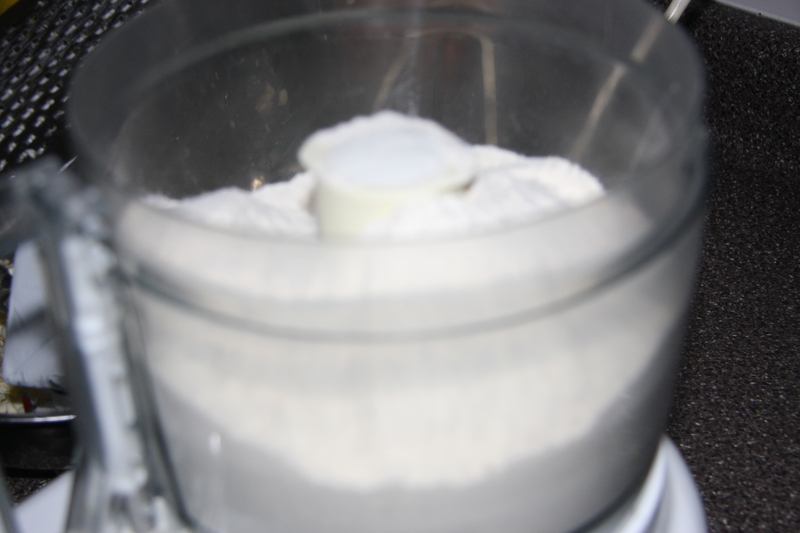 In a processor add flour, baking soda, baking powder, salt and mix well. Next add the grated butter and pulse until you have a consistency resembling little peas in the flour. Add the buttermilk while pulsing and the dough will start to come together. 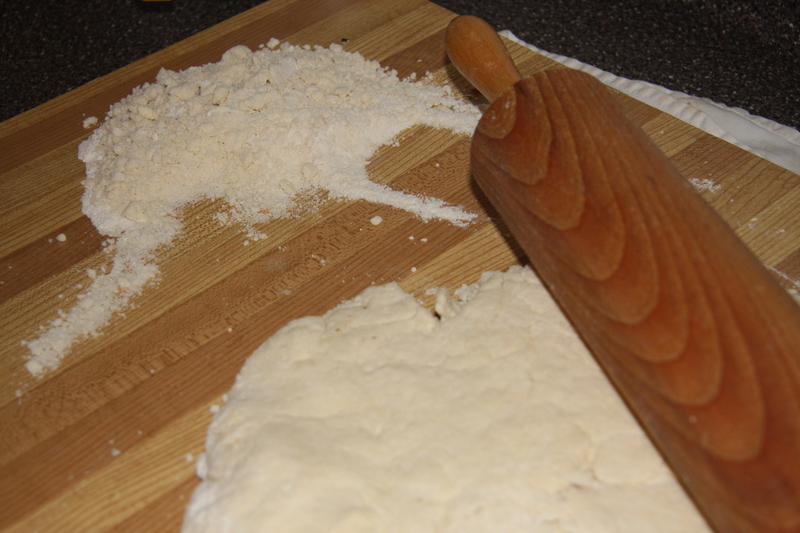 Place the dough onto a floured board gathering the dough, pressing it into a circle or rectangle. Roll out to about 1/2″ thickness. 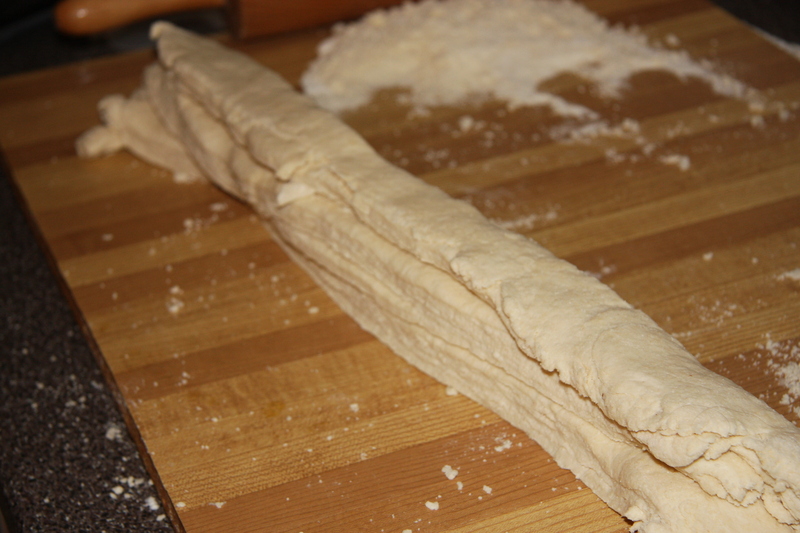 Cut into 4 or 5 strips and pile them on top of one another. Press with your hand and repeat this process once. Working quickly and not over handling the dough. 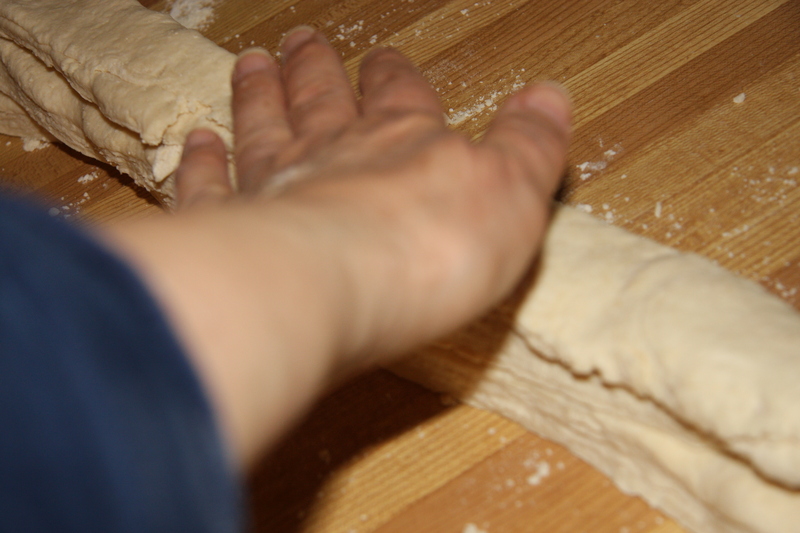 Cut the dough into 12 pieces. Place them on a pan lined with parchment paper and brush them with some buttermilk. Bake until golden, about 12 minutes. Turn oven off and leave them in for another 3 minutes. Remove from the oven, place on wire rack to cool. If like me, you’ll already have had one. 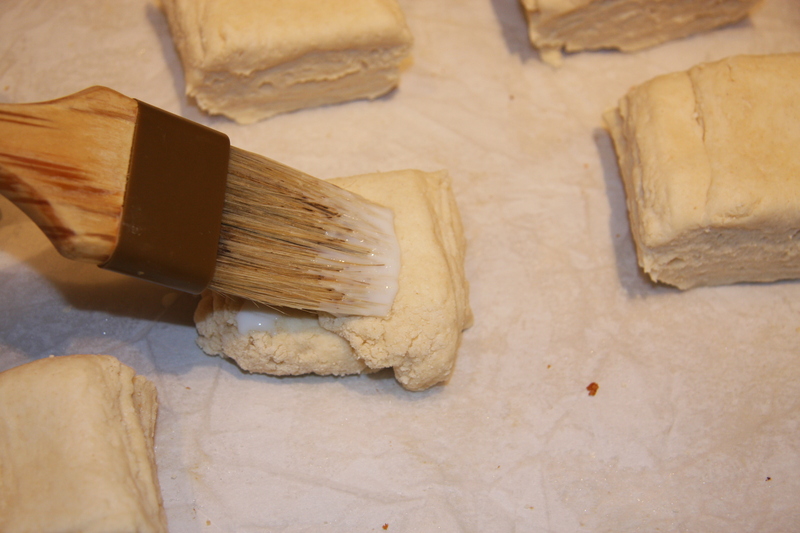 You can also sprinkle tops with sugar or add 2 tablespoons of sugar to the dry ingredients. These would be more of a dessert biscuit. Like a shortcake.